While shopping online we need to first surf through number of pages and then finally have to fill credit and debit cards details manually into the browser, which is the annoying for most of the user. But now the new Safari feature in iOS 8 solves this problem by integrating camera-based Credit and Debit card reader. Apple will soon introduce this feature to Safari in its latest Operating System iOS 8 that will allow its iPhone/iPad users to scan their physical credit and debit cards with their device camera and optical character recognition, according to 9to5Mac. So when a user has to shop online using their iPhone or iPad and reach the payment screen for payment, safari browser will automatically display this “Scan Credit Card” option. This option will help your camera to capture the image of your credit card, which the device will analyze by using the optical character recognition to input the card number into the appropriate text field in the online payment form in Safari web browser. Till now, it's unclear whether this scanned information of users’ credit card can be saved in devices, or if “Scan Credit Card” option will recognize the cardholder's name or the card's expiry date. No doubt, new technologies are very beneficial, not perfect. Every new technology also attracts cyber criminals. 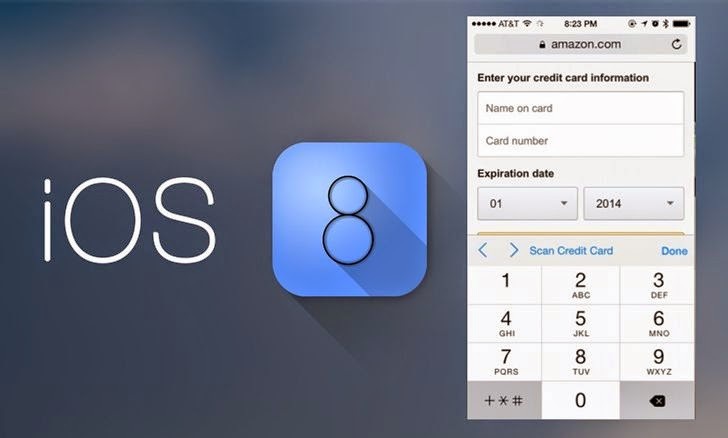 Now time will show that this iOS 8 Credit Card scanner will be a boon for iPhone users or not. Possible exploitation could be possible by malicious payment pages and mobile apps. We are looking forward to know how this new feature could be exploited by cybercriminals. Stay Tuned.